Our Ellsen Machinery company is a professional manufacturer of metal craft work and process equipment which is founded in 1996. 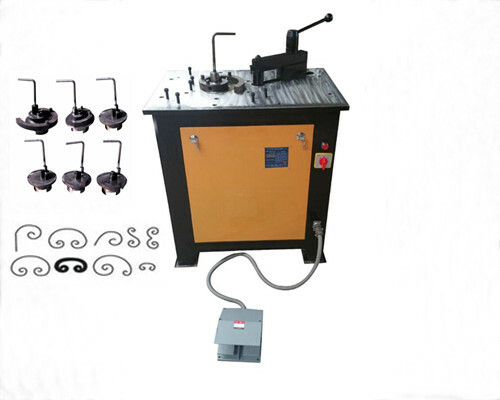 Its wrought iron scroll bender is sold very well at home and abroad due to our high quality and good service. Our ornamental iron bender for scrolls is extensively used to process flat iron, square steel, square tube into different forms like C, P, S patterns. 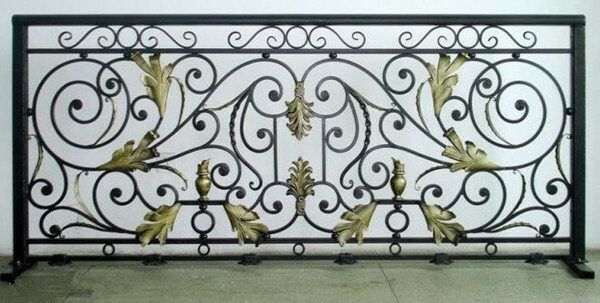 And these wrought products are often to see around us, such as wrought iron fences, furniture, stair railings, iron gates etc. 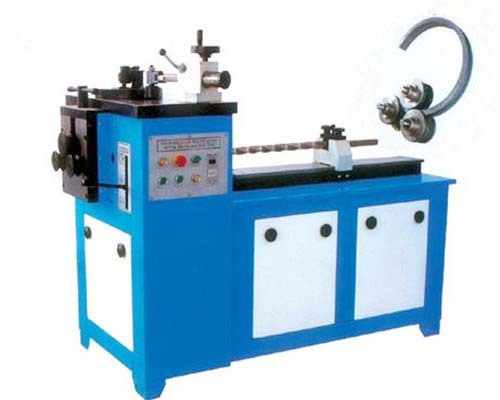 Therefore, metalcraft scroll bending machines are the core equipment in wrought iron industry. In order to meet demands of market, we produce different types of wrought iron benders for sale. 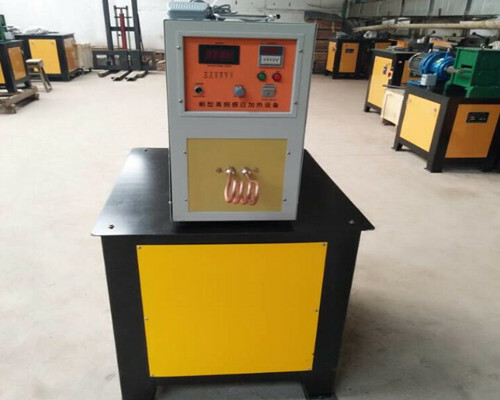 They are EL-DW16C, EL-DW16D, EL-DW16E Program controlled pattern bender. EL-DW16E metal craft scroll bender machine: its work ability is much stronger than other two metalcraft bender machines. For our engineers redesign the block part and roulette, the size of scroll bending dies are bigger which increases processing range. 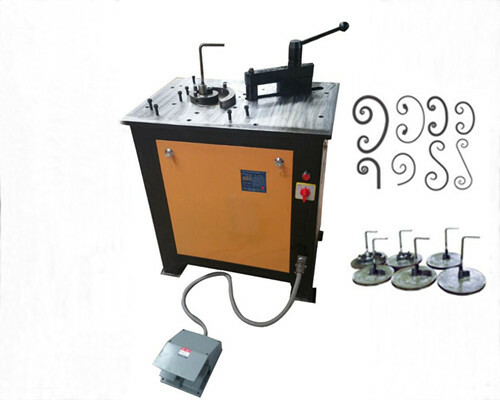 EL-DW16D metal craft ornamental bender machine: it not only bends C, P, S patterns but also has 3 other devices used to bend round spring, arcs, angle. So this metal scrolling bender is suitable for massive production of small spring. 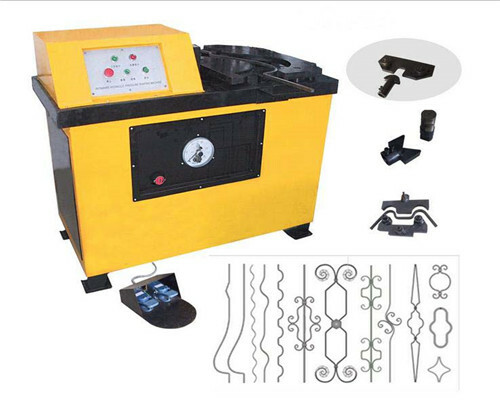 EL-DW16C metal craft scroll bender machine: it can only bend C, P, S patterns. It is a basic ornamental iron bender machine. The common ground of the three types of wrought iron scroll machines is that they are programmable control and could work automatically. We would send 6 sets of free scrolling bending dies together with metal craft bender when customers buy it. Other different sizes of dies are for clients’ selection but need extra payment. The dies of bender for scroll bending play a very important role in the whole machine for they greatly influence the quality of iron scrolls. Ellsen as a leading wrought iron machines manufacturer, we pay much more attention to produce the dies. 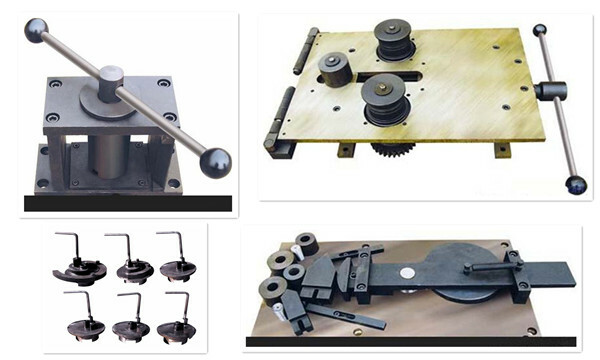 And our scrolling bending dies are heat resistance as well as abrasion resistance which are not easy to become old. This will keep our machines a long performance life. 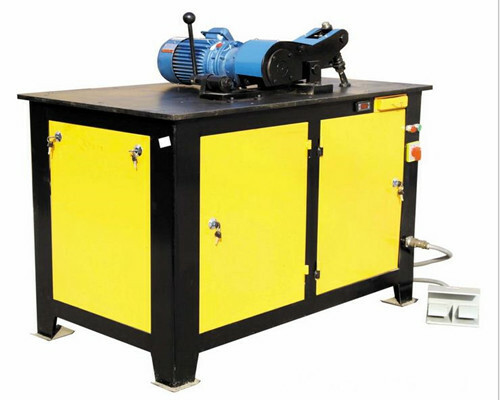 The metal craft bender machine has foot pedal which is safe to operate. It is program controlled which can work automatically and save labor cost. It is very convenient and rapid to change the dies of metalcraft scroll bender machine, saves time. 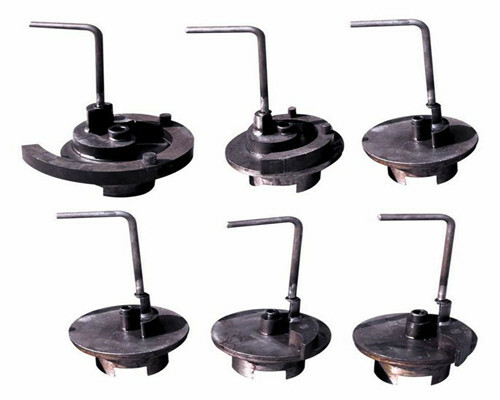 Our metal bar ornamental iron benders greatly enhance work efficiency and reduce labor intensity. This is easy to maintain our wrought iron bender machine for making scroll. 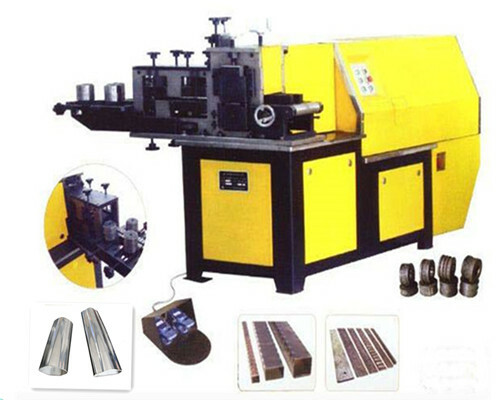 The iron pattern bender machine has a long functional life and stable performance. As it mentioned above, there have three types of ornamental iron bender for sale in Ellsen. Each has their own features. In order to give clearer information to buyers, here we will tell you the details. EL-DW16C Ornamental iron bender for sale. This type is the basic machine to bend P, S, C forms. There is no doubt that it will be the best choice for who have no big demand of wrought iron scrolls because it is economical. EL-DW16D Ornamental iron scrolls bender for sale. This metal craft bender has other three functions: bending angle, bending small spring and rolling in addition to processing P, S, C shapes. Furthermore, ornamental iron fabricators can achieve mass production of small springs through rolling circle device. Therefore, this model is especially suitable for processing complicated metal scrolls. EL-DW16E Ornamental bender for sale. This model has the ability to process iron bars into bigger scrolls for the size of bending dies is much bigger than that of other two scroll benders. And the working capacity is much stronger. Many beginners in ornamental iron industry don’t know how to operate ornamental scroll benders after they buy them. However, there is no need to worry about it when you order our Ellsen ornamental iron benders. Because it is very easy to operate our scroll machine benders for it is controlled by program computer. First of all, you need check everything is ready including the Start, Foot Pedal and Emergence Switch of the wrought iron scroll benders. Also, we should enter the bending arc into the Program Panel. 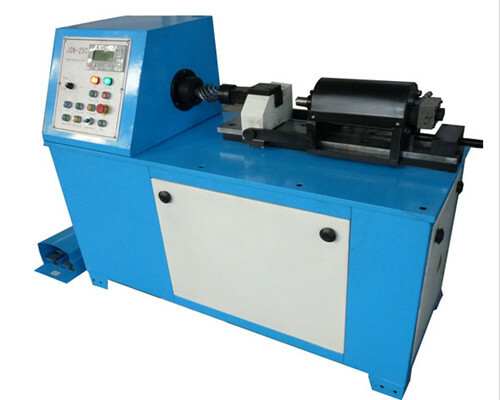 Then, please install the bending die on the working table of scroll bending machines. After that, we just feed the iron bar into the machines. When all is done, just turn on the switch. The metal scroll bender machine will work automatically. That’s very convenient and saves time and money. First of all, our metal scroll benders for sale is with newest technology for we have more than 30 experienced engineers. Secondly, the bending dies of our metalcraft scroll machine for bending scrollwork is designed with smooth surface without holes, crack. Thirdly, our metal scroll benders can automatically control time and localization so as to guarantee the consistent performance. Fourthly, we have 20 years experience in this field and would offer more professional advices for your purchase. 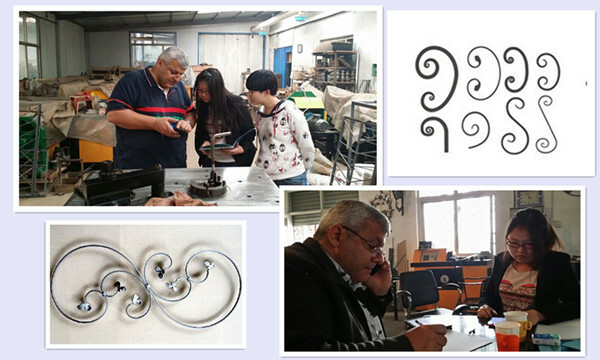 Fifthly, our factory is able to customize ornamental benders and scroll dies according to customers’ designs and logos. Sixthly, we offer excellent after-sales service and warranty for our ornamental scroll bar bender machines. 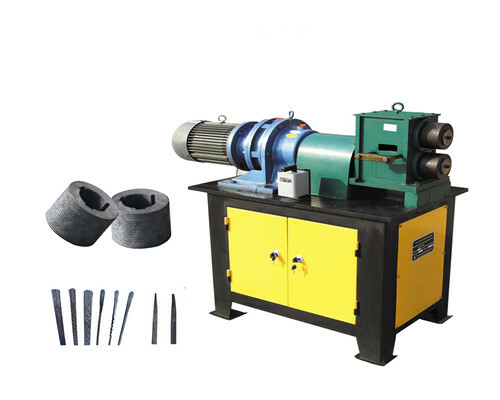 When we receive your inquiry about our steel scroll machine bender for sale, our professionals would quote you an exact and competitive price. 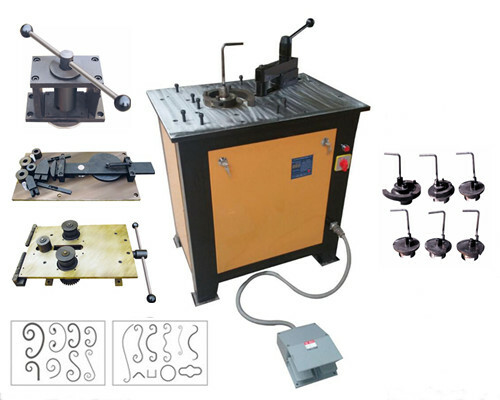 We try our best to solve any of your confusions about our wrought iron bending machines you are interested in. If you don’t know which kind of scroll rolling bender is most suitable for their business, we would recommend the right one according to your requirements. 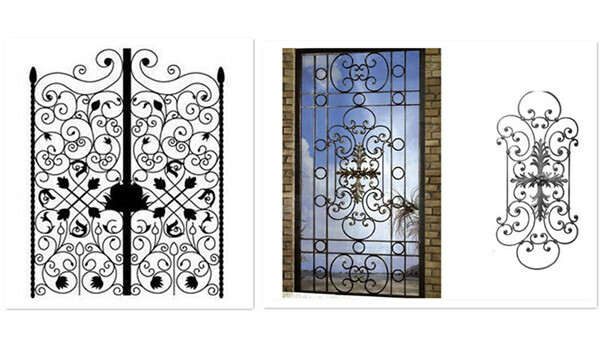 The most important is that we could help customize the wrought iron benders based on your logos and designs. 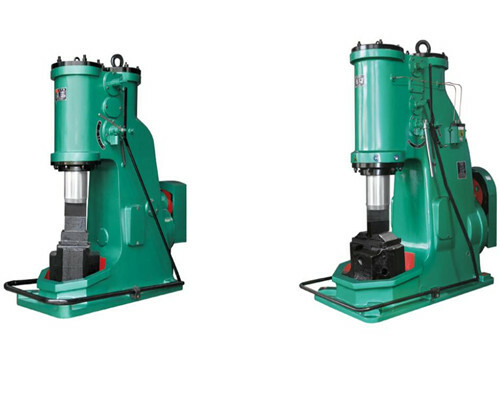 Those who want to have their own brand in their countries, Ellsen scroll bar benders for sale will be your best choice. We promise each wrought iron scroll bender for sale in Ellsen on year warranty. If clients don’t know how to operate our scrolling benders, videos and manuals will be sent together with the wrought iron benders they buy from us. And our company welcomes clients at domestic and abroad to learn operation in our factory, it is for free. For some maintenance tools and wearing parts, we will ship to you for free too. You can call us by 24-hour service online at any time when meeting problems.